Just like the shape of an “O”, these Yo-Yos have a very rounded profile, that feel comfortable in your hand and smooth in play. The rounded profile shape helps concentrate and distribute the weight in a peculiar way that is different to any other Yo-Yo. Due to the difference in shape, the weight distribution is actually closer to the center as opposed to the outside edges. This means its spin speed is slower but it also makes for a more controlled and mellow play. You just need one of these because learning to tame and dominate them is one of those experience you have to try. Please tell me I’m not dreaming. Yoyorecreation really created this masterpiece! Newbies, newbies, look here! It was time to brighten up your faces. 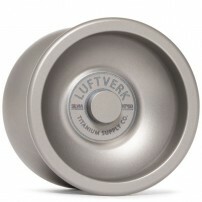 How about we give aluminium Yo-Yos a go? Hmmmm fresh out of the oven… The newest throw from One Drop is called the Dang 2, the evolution of the legendary Dang, the Signature model of Paul Dang, yeah pretty Dang awesome right? 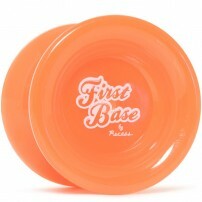 Sink your teeth into Recess First Base and become a champion. 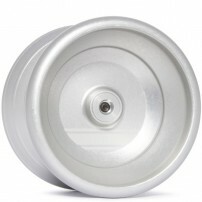 New, fun, Smooth Playing: Two colours to choose from:SKYY Chaser Bearing Siåze C - Orange.SKYY Chaser Bearing Size D - Gold. Unfortunately we weren’t able to get our hands on the first Siren from Radical Seas here at LaTienda, but today is a different story. Lo and behold the new Siren V2. If it looks like an apple, it is an apple. I mean that’s true, right? YoYofficer comes back in full swing with a great Yo-Yo for intermediate players. 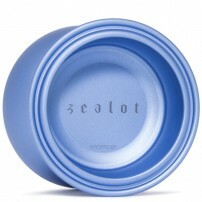 Meet the new Zealot. 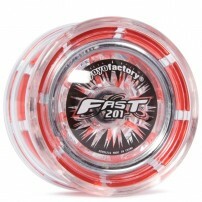 A Yo-Yo as versatile like few others, and the YoYoFactory Velocity is like you know others. Old School vibes are in the air my friend. Ask me for 3 aspects of the ILYY Mary and I will tell you the following : precision, aesthetic, and smoothness. Although it is true I could give you a long list of synonyms too. Only a Yo-Yo like this could be called DownBeat. One Drop has hit the spot once again. As the sun goes down, this new Yo-Yo comes up. Is there a new beast in the ILYY family? Well, if by beast you mean a Super-YoYo, then the answer is yes. Luftverk has just unleashed a little guy with the best genes in the fam. Meet the new Silvia XP50. 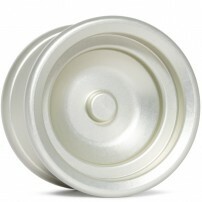 We have not had time because everyone was raving about what a good Yo-Yo the Prophecy is! The YoYoFactory 888 is arguably the most recognized Yo-Yo by players around the world. 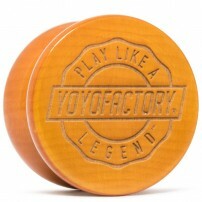 Takeshi’s new signature series Yo-Yo is the first official counterweight Yo-Yo to be produced by YoYoJam.